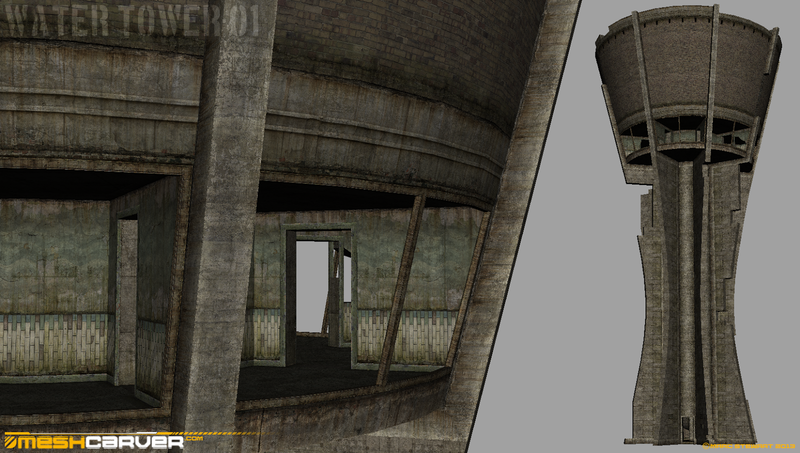 here's that large Water Tower I was working on when my beloved PC took a nose dive. I chose it as it has a distinctly Eastern European feel to it and it's a very interesting shape and has a strong silhouette. The eight huge concrete supports also lend themselves to some cat and mouse game play hopefully so I've tried to cut a few blocks out of them to break up the outline and allow for stray bullets and shells to go through. To get to the top, the player will first ascend a spiral staircase, then climb two tall internal ladders. 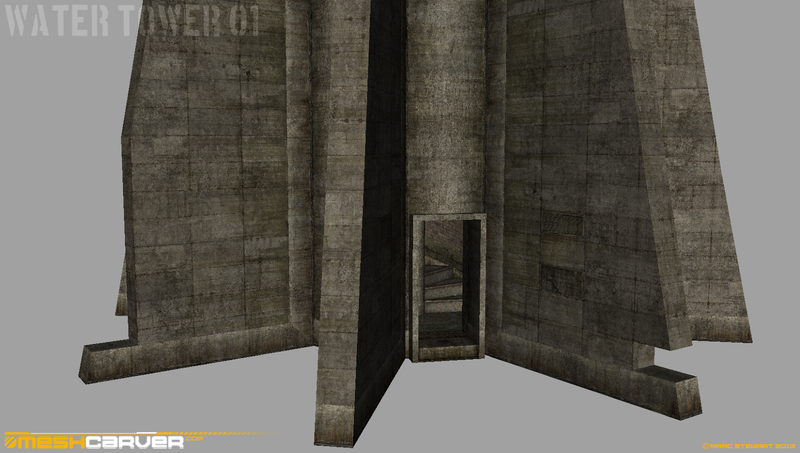 There's two external floors- the viewing or maintenance level (Complete with faded wavy water themed wall paper!) with eight connected rooms and the very top from were the player will get a 45 meter high 360 degrees view point of the surrounding Zone.